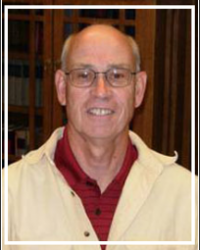 Dr. John W. Johnson is Professor Emeritus of History at the University of Northern Iowa. He has published seven scholarly books, including Griswold v. Connecticut: Birth Control and the Constitutional Right of Privacy (2005), The Struggle for Student Rights: Tinker v. Des Moines and the 1960s (1997), and Insuring Against Disaster: The Nuclear Industry on Trial (1986). He is a recipient of the James F. Lubker Research Award, the UNI Distinguished Scholar Award, the College of Social and Behavioral Sciences Outstanding Research Award, and the UNI Regents Award for Faculty Excellence. In his retirement, Johnson enjoys golf, cross-country skiing, reading, duplicate bridge, crossword puzzles, and his grandchildren.